Arriving for the train relatively promptly for the meet and then finding seats actually reserved by the Deutsche Bahn for the illustrious Munich CC tourists to Lovely Ljubljana had to be considered the first of many tour successes (given recent history). Des Badly couldn’t believe his luck and frenziedly went about selling his treasured MCC ties. Cost price? To be fair, most of the rabble successfully managed to get royally faced on the 6-hour journey. Though, in fairness, it also has to be said that several who should know better ‘went way too early’, committing schoolboy errors and were thus gibbering wrecks by the time they were stumbling through LJ’s lanes on a sultry early evening after disembarkation. After the hotel formalities where the obligatory David Gowers, Chas&Daves and Eartha Kitts were done and dusted, we even managed to find a restaurant. A fine fish supper was the basic sustenance for a relatively long night for the same old faces, those armed with those treasured weekend passes and a blatant disregard for curfews. A relatively short one for those with more sense and/or in fear of losing their starting slots. But ultimately, as always, we successfully rumbled up the required 12 bodies for the first Friday fixture against Slovenia’s finest. Controversially though, Lovell decided to drop himself along with Brother Dean to try their hands at another popular pastime. However, instead of reducing their handicaps they managed only to fertilise the practise facility and foliage on the lovely golf course at Arboretum. Back at the cricket on what was a scorching day for early May, Hebel managed to better the pitiful 5% toss win ratio of Lovelli to make his a perfect 100%. 1 from 1 and we will have a bat thank you very much on what Tony Greig might describe as perfect conditions for batting. Moo and Power started things rolling with a blazing 68 run opening stand off just 11 overs to give the MCC a rocketing start. Moo Gale then gave his wicket away for 35. Some believe it was too hot for the Englishman: clearly suffering from sleep deprivation after initially falling asleep on a dossers bench and later waking the fill-in skipper up at 6 am. That brought Balaji, the century maker from the week before to the crease. He looked extremely confident and went for a massive cover drive first ball, which was so wide that it hit the edge of the matting and rolled along the ground. Two balls later however he fell to the first ever Duck of his career, caught at point to what Richie considered the best catch of the day. Can’t win them all Balaji! This brought the fill in skipper Hebel to the crease with Power still unbeaten but dehydrated at the other end. The pair proceeded to consolidate their position till drinks. 2 balls after drinks, Power managed to play all around a full toss to be bowled for a well-scored 36. Clearly Steve didn’t take enough fluids on board at the interval to overcome his dehydration. Dr.Parore then joined Hebel at the crease and they both butchered the bowling attack to all parts of the Eastern European ground in Valburga just outside LJ. Ultimately (possibly) a record 4th wicket partnership of 166 runs and (possibly Des?) the highest ever 40 over MCC score of 272 for 3 off their allocation. Hebel finished with an unbeaten 122 (maiden century) and the Doc 46 not out before he absconded on the night train to Sara Yeovil. MCC went on to bowl well limiting the home side to 9/102 off their 40 overs. Rain held off and allowed MCC to register a conclusive victory. The bowlers presented their delicious pies well with Scott 1 – 18, Bostock 2 – 16, Smith 1 – 16, Power 2 – 8 and Hebel 2 – 1 cleaning up the tail. Bunty Blades bowled well without luck in what was a very successful day all round for the MCC. Celebratory drinks after the game of course. But the evening never threatened to get out of hand due to the excessive and debaucherous nature of the night before. 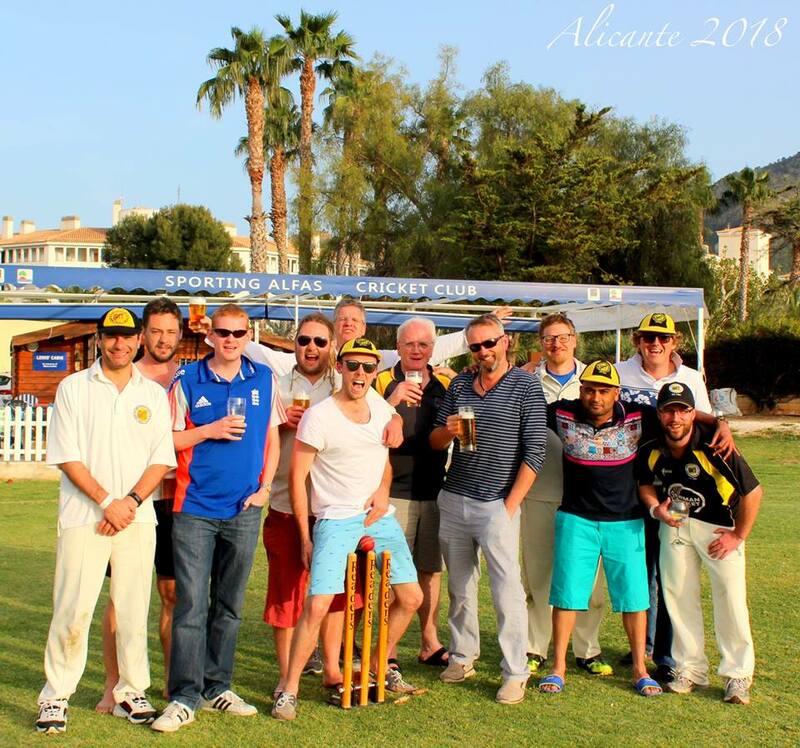 Also the sultry cricketing conditions and on the golf course played their part. Needless to say, celebrations were kept in the locker until Saturday night where most let their hair down with cocktails that had little more than pure alcohol in them. Did not see anyone complaining though. Potent! Please allow me Markus Lovell to take over at this juncture. It was absolute carnage on the train down. It always is when the boys & girls travel mobbed up and tooled up with their Kookaburras and GrayNichols. Dressers were in abundance too with the Fred Perry & Stone Island crew taking orders from General Bradley. Recce man Weatherall escorted us via sideroads through to the Hotel Park early doors. A quick Turkish bath and out again on the prowl. This was in danger of getting out of hand. I knew the score from last year though. A cunning plan involved dropping my major partners in crime for golfing purposes the next day. Edwards of course failed to show, slept in and missed some fine golf. Wasn’t expecting Young Dean’s coffee incident early next day though. Just wasn’t prepared for that at 11am. Another schoolboy error to be fair. Harsh but fair. You know my motto. You can read Mr Hebel’s cricket verdict of game 1 above where he modestly describes his tidy 122* in a conclusive victory. He had to be dropped after that though. His lovely wife agreed. Clearly not enough on that wicket in perfect conditions. He was put down too I hear from cricket sages. Same rules applied for Balaji. Such inconsistency, a century one week and a duck the next will simply not be tolerated by MCC regime. Hamilton and Holmes replaced them for Game 2 in a like for like swap. Harsh but fair…some said. We won the toss (again) and decided to put them in to change things around a bit. Pat Rafter/Dave Seaman batted with more aggression this time as they amassed 171 off their 40 overs. Pick of the bowlers was steam engine Scott with 1-12 off 8. Bunty Blades, Hazza, Stevie Power and Barth Dean supported well in the face of some village fielding. Edwards got injured but (unusually) incident did not involve stepping on a foreign object/insect. We slumped to 9-3 early doors with Butcher Smith, Power and Cider Edwards all back in the hatch by the scorer’s tent. Hazza and Hammo Hamilton recovered the situation. Geoff Miller, darkest of all things equine. Fifteen, the bearded wonder scored, including two lovely straight drives back past the bowler. Makers name. Exquisite Hammo. Exquisite. Hazza was going well too before he succumbed to a soft c&b when in sight of a nice fifty. Lovell then got going after a pollen attack. A few lovely 7 irons with a bit of draw into Kew Gardens, LJ, including 22 off a quiet Aussie’s last over. It was tight for a while though. Edge of the pram stuff. Partnerships with Dean, Scott and finally Bunty Blades got us over the line. Contender for shot of day Bunty’s bish through cover off Pat Rafter late on after being pinged by the short stuff early on. ‘Does it hurt? NO, mate, whadya think?’ Expletive, expletive. In the end MCC squeezed to 173-7 with 7 balls in hand to secure victory by 3 wickets. A good game but tough on LJ who battled hard all weekend. Thanks to Dave Weatherall for his exemplary umpiring all weekend. True to his nickname he gave ‘buggerall’ all weekend. Consistency the key and is appreciated David. Des of course for the pencil work, although Hammo was giving him a few jealous stares. And weren’t the LJ Teas just grand! We look forward to LJ’s visit to Munich in August. Thanks to Alisdair and the boys! Scores Game 1 (40overs) Friday May 2 – slightly murky but stinking hot (allegedly)…as ’twas on golf course. 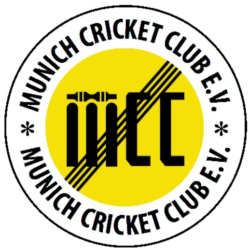 Scores Game 2 (40overs) Saturday May 3 – sultry Slovenian sunshine, later slightly overcast. That left Saturday PM and Sunday for sightseeing and cultural activities. Tour manager was this necessary? Lots wanted another 20 over farewell thrash on the Sunday. Could this have been the effect of those potent cocktails on Saturday evening? A fair few did make it allegedly up to the lovely castle. Taxi? Those re-assembled Travelling Hillbellies (Hazza, Bunty, Dave Buggerall and guest star Mrs H) made a cameo appearance between borders on the train. Sadman Hussain was even spotted doing his rounds on the IC train…but that’s another story! We are in control.